Business card stand. Each business card stand is original and unique. 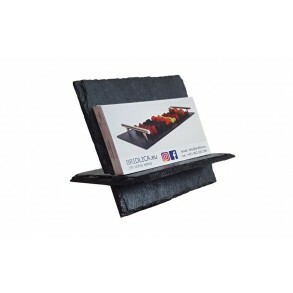 Note: Stand is composed of 2 slate parts and is delivered in decompose..